Are You Ready for ISO 9004:2009? Anyone interested in business sustainability and/or working with or for companies with business sustainability objectives can benefit from taking this test. The test helps participants evaluate their knowledge of the main business sustainability evaluation models as well as the key milestones and trends in the development of business sustainability concepts and practices. The participant will receive written evaluation results with comments and conclusions. Evaluate Innovation Activities at Your Organization This assessment tool helps understand the most common problems and opportunities associated with innovation activities of an organization. The assessment results in a score that ranges from zero to 500, with higher scores reflecting greater capabilities of an organization to innovate. Based on the score, a company can be classified as one of the following: Game Changer, Industry Leader, Proactive Follower, Reactive Follower, or Passive Observer. Each of these categories is explained in a written assessment report along with a summary of the findings. 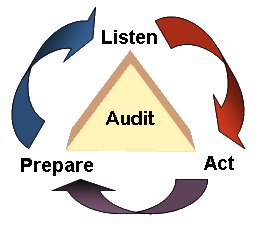 If you are a professional auditor or if your job responsibilities include performing audits, you will need to conduct a lot of interviews to gather information about auditing processes and activities. This test was created by journalists who have outstanding expertise in conducting interviews, managing the flow of conversations, and encouraging people to collaborate and provide important information. The test will help you to understand the level of your interviewing skills on a scale from one to five and identify the most important areas for improvements. 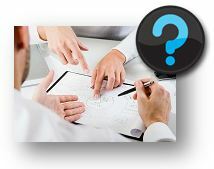 This test is part of the training course Quality in Project Management. The program explores ISO 25100:2012 and provides tips and techniques for both quality professionals and project managers working together on cross-functional projects.